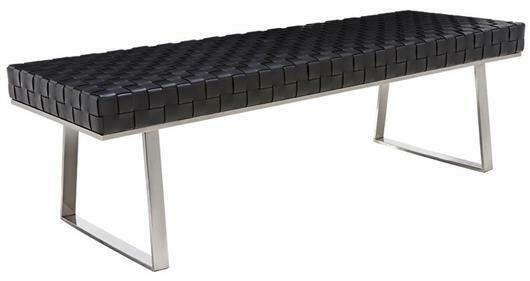 The stylish Karlee Bench is the ideal solution for your modern seating needs. 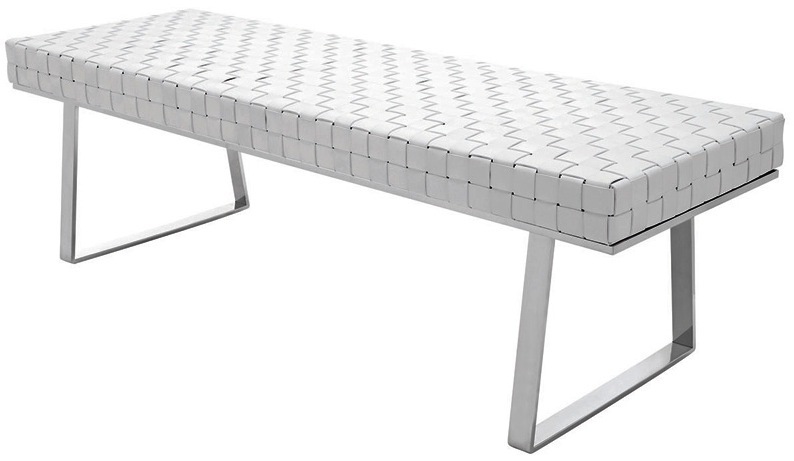 The base is made of high polished stainless steel. 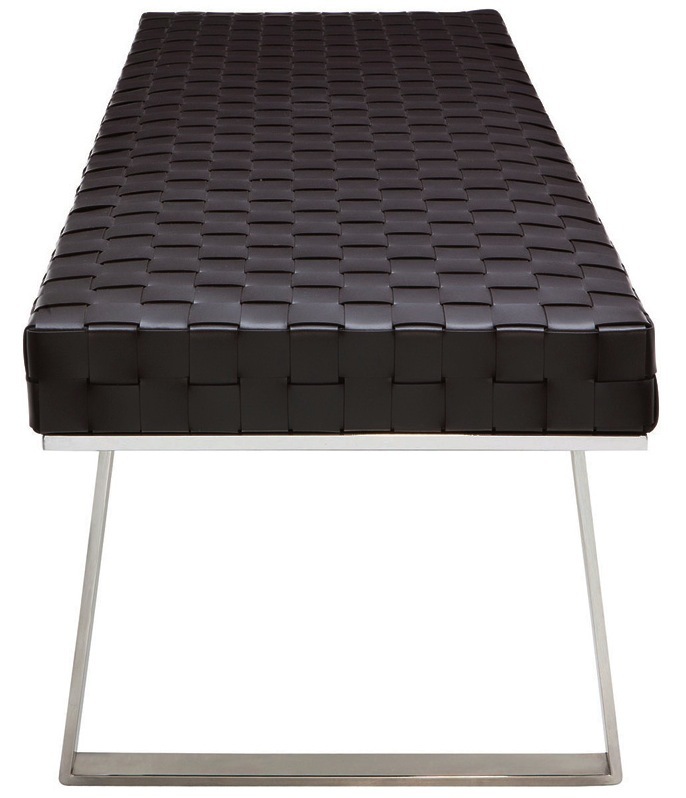 Its seat base is wooden, with CFS foam padding for comfort. 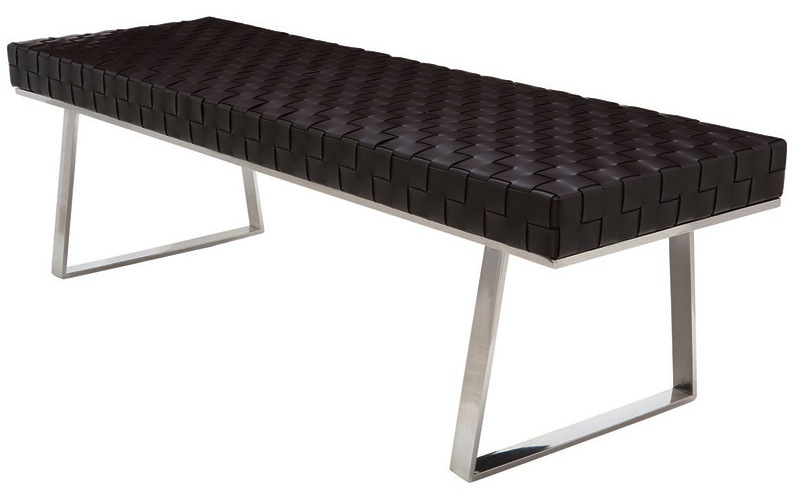 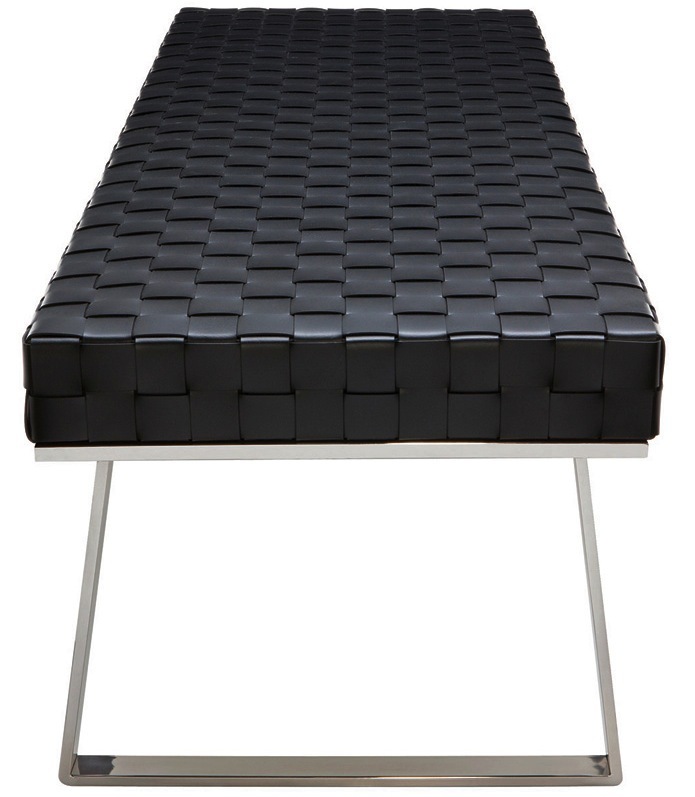 The Karlee Bench is upholstered in regenerated leather strapping with a satin finish for a modern and elegant look. 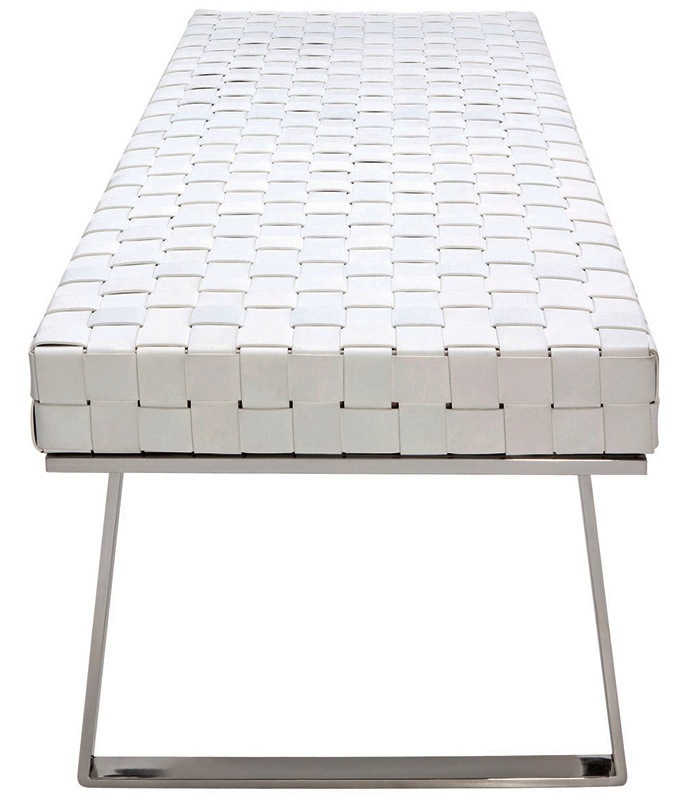 Karlee is available in your choice of three rich colors (black, white and brown), all easy to incorporate into domestic or commercial environments.